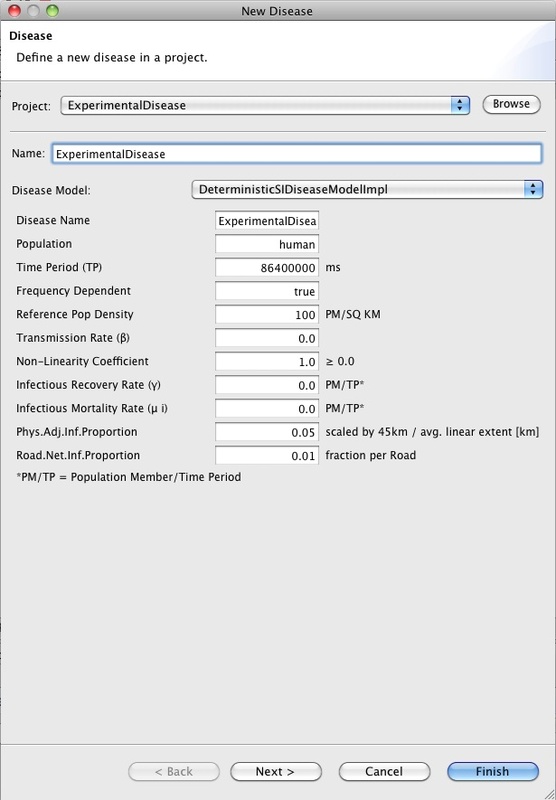 Name it (e.g., "CubaInfector"), under DiseaseName: "ExperimentalDisease"
In the resource set click on the infector SI Infector ExperimentalDisease to edit it. 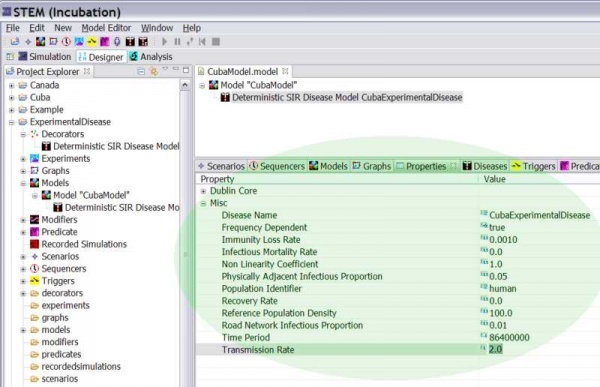 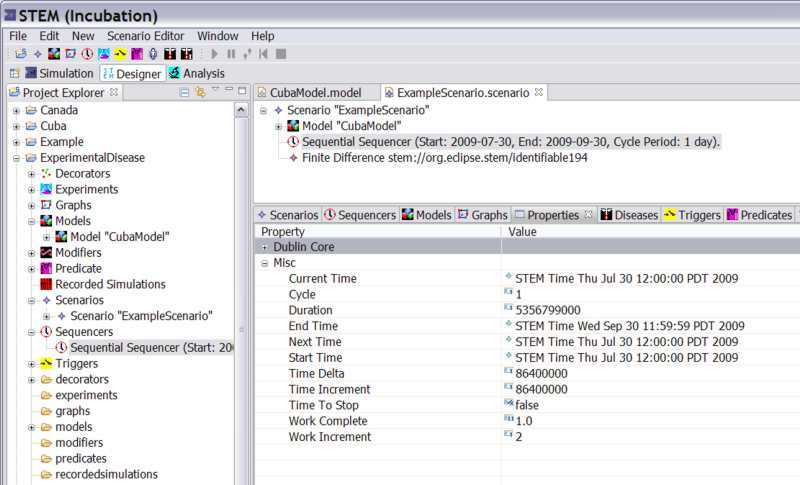 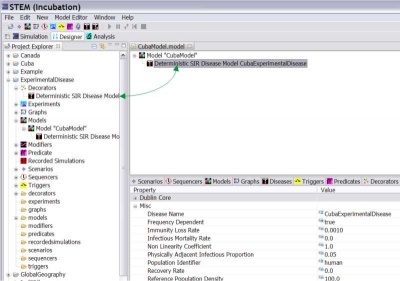 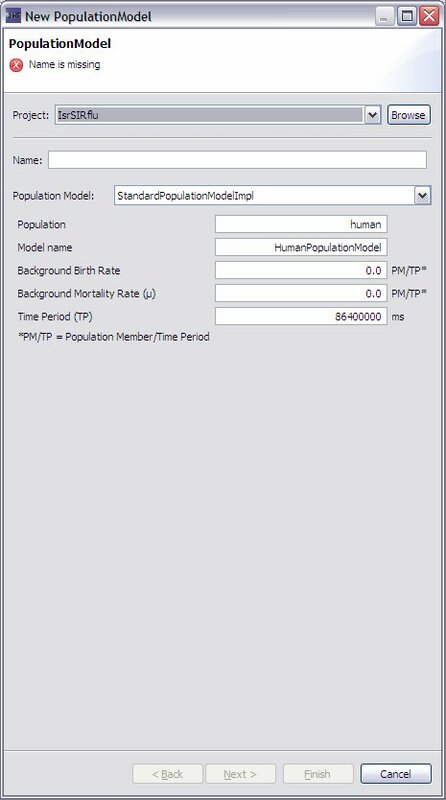 Your disease model may be SI, SIR, SIER, etc but in all cases you only need an SI infector (as this base class will add infectious people to seed any model). 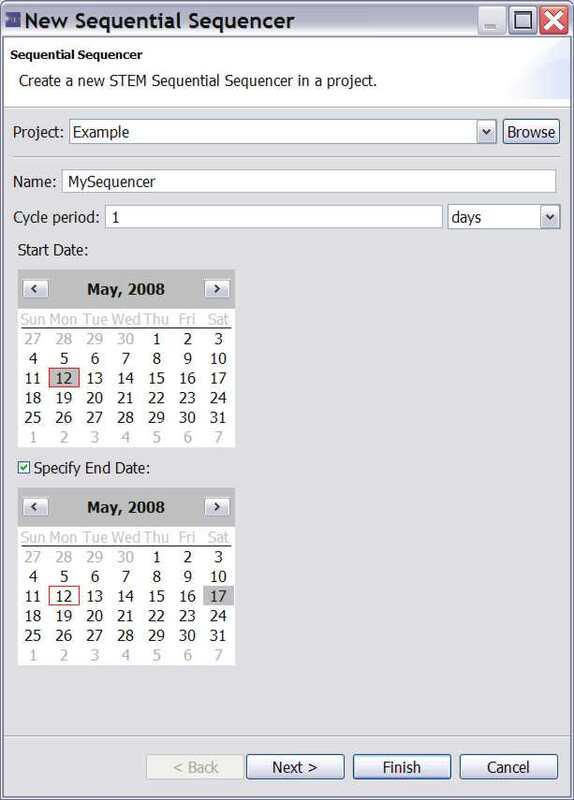 When infecting or innoculation locations on a custom graph or lattice, there is also a radio button that allows you to Select Within Project. 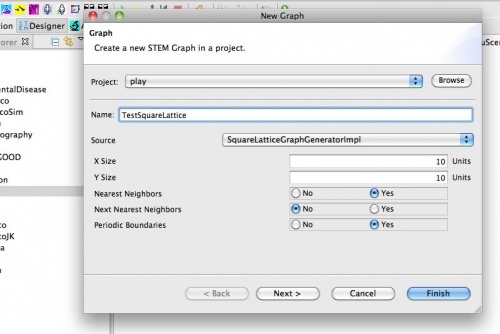 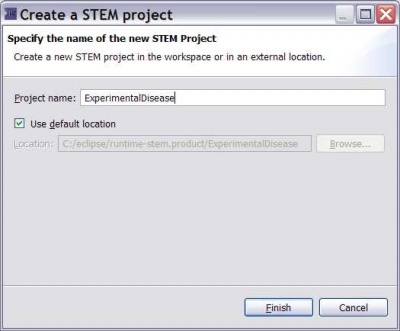 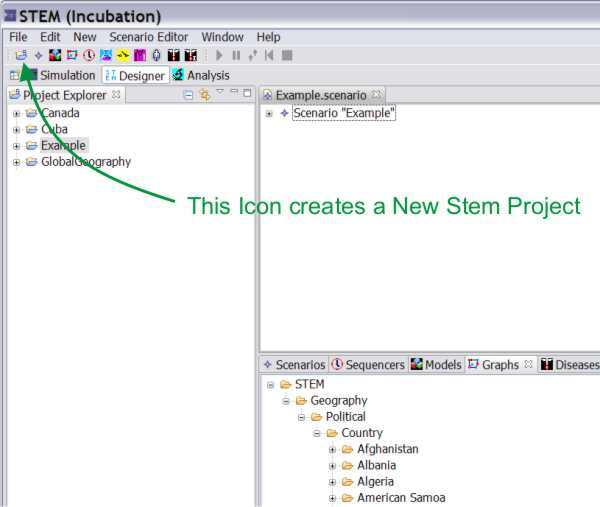 Instead of choosing from STEM's built in location ISO keys, this option presents the user only with those keys that already exist within the graph(s) contained in the users project. 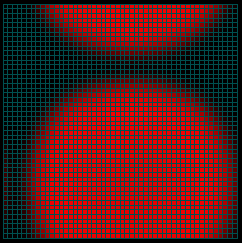 In the example below, the nodes on a small square lattice are shown.